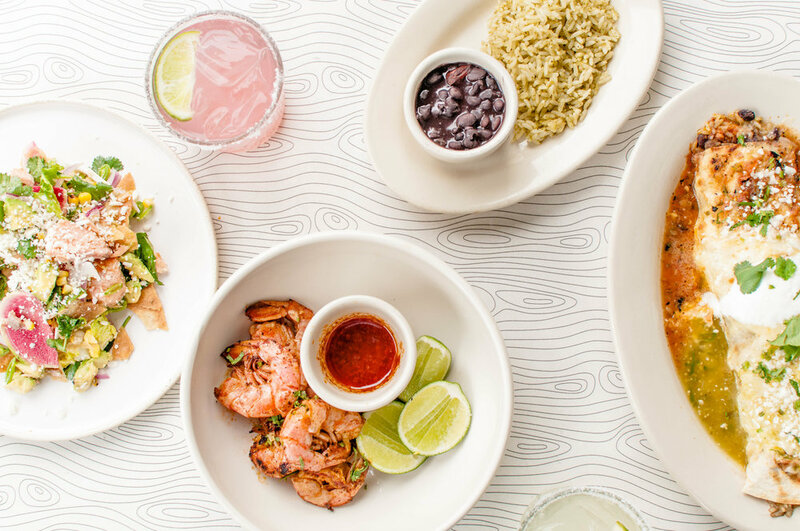 Pure Taqueria — New Season: New Menu | Spring is Here! We've been doing some Spring Cleaning around here. You'll find bits and pieces of all the new on our website, menu, and to-go packaging (coming soon). Inspired by corporate chef, Carlos Cisneros, are our new Quesadillas del Mercado. Each quesadilla is prepared with handmade tortillas and stuffed with cheese. A plate includes one zucchini blossom, one poblano pepper, and one portobello mushroom quesadilla and is served with a side of roasted chile de arbol salsa, green cilantro rice, and black beans. For something a bit lighter, we'd recommend our new Ensalada de Verano. We've replaced our Ensalada Pescado with this lighter, colorful alternative. 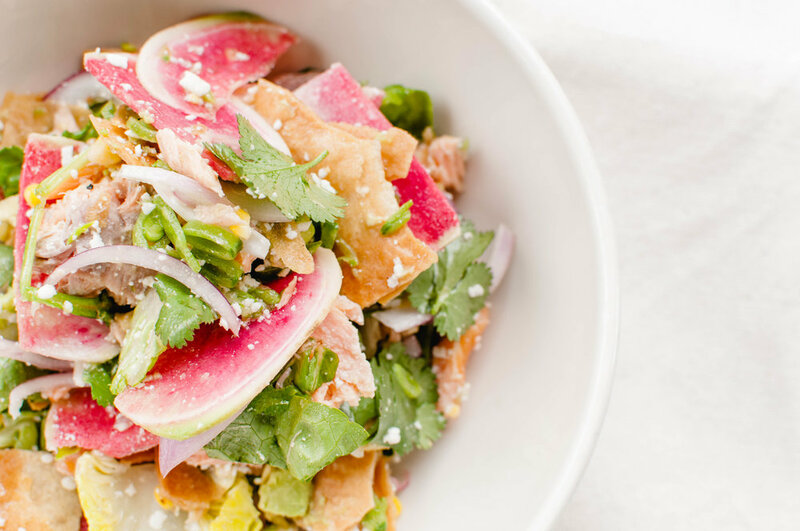 Perfect for a warm day, it is filled with delicious veggies like grilled corn, baby gem, sugar snaps, watermelon radish, avocado, red onion, and cilantro. Topped with your choice of fajita chicken, grilled shrimp, or smoked salmon, it's the perfect new lunch option! Our Camarones Rojos have made a comeback for the warm weather. If you're an Alpharetta regular, you may be familiar with them from Oyster Parties. 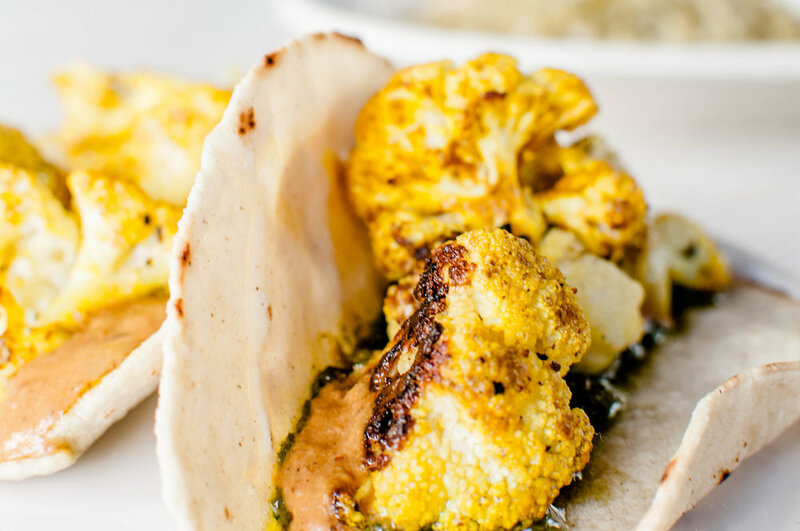 A crowd favorite, they were cooked fresh on the plancha and served with a warm chipotle butter. 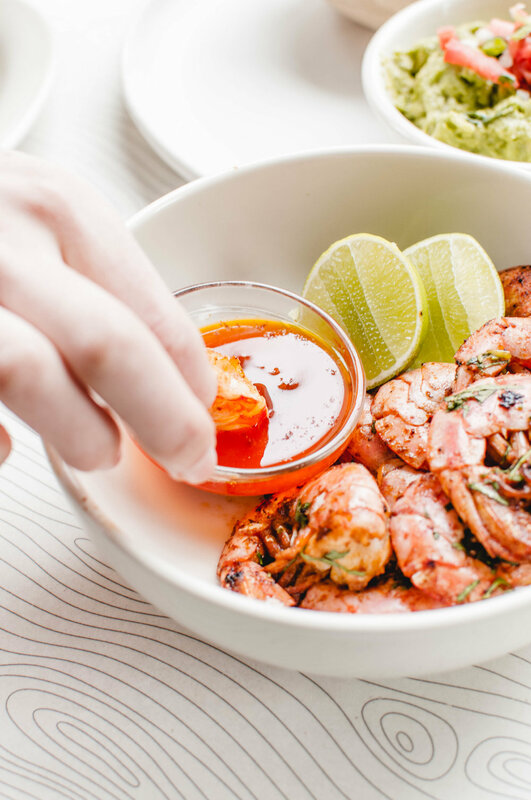 Squeeze a little lime on 'em and you'll see just how irresistible they are... but be careful sharing cause they won't last long. Burrito lover? We've got good news! We now have a Burrito Ahogado. 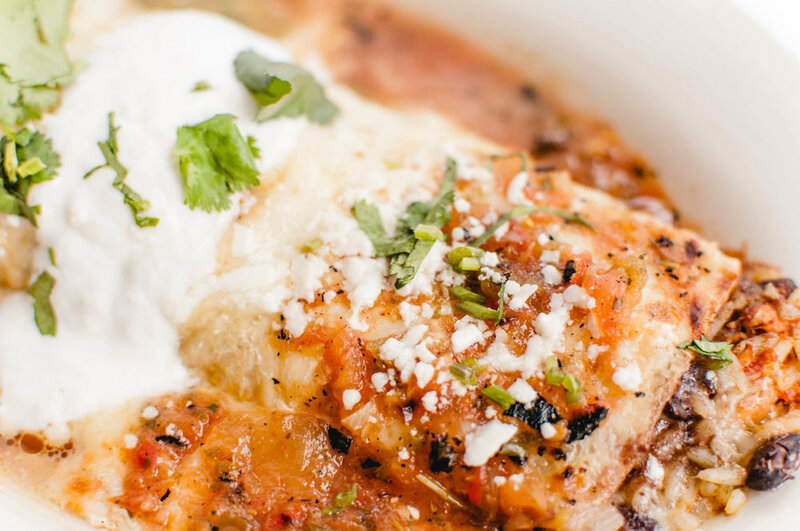 Filled with veggies, pork, chicken, or steak, black beans, and rice and topped with our house-made salsa verde, salsa Mexicana, sour cream, and cheese, our Burrito Ahogado is the perfect comfort meal. In addition to new food selections, we've added several exciting new drinks to the menu this year! Frida Night has been re-invented. Guests can anticipate a new seasonal margarita every month, featuring in-season ingredients. Order our Frida Artistry Margarita on a Wednesday and keep the glass with artwork representative of Frida Kahlo designed by a local Atlanta artist. Come back each month for a new drink and a new glass, all while being introduced to a new artist in your community. Coming soon: Dessert Drinks (cause who doesn't love coffee) and handmade tortillas at every store!